One of the most common pieces of advice to increase website traffic is to “create great content on a regular basis”. Even I have said the same in the past. It makes sense. High-quality, relevant content is a key component in bringing visitors to your site and the reason why content marketing has been all the rage these past years. Plus, with its history as a blogging platform, WordPress is perfectly suited to build content-centered websites. However, content creation has its own set of challenges, the biggest of which: finding the time. 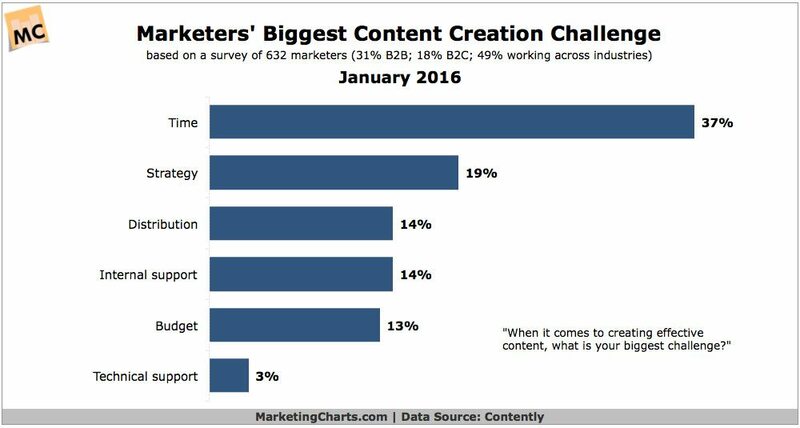 In fact, in a 2015 survey lack of time beat strategy, distribution, budget, and others as the biggest challenge for marketers in producing content. However, web content is not the be all end all of online marketing and we have other means of increasing website traffic than churning out endless amounts of blog posts. There are other methods of attracting visitors to your website. So, if you feel like you are stuck on the content-creation treadmill, this post is for you. The phrase “content is king” is probably one of the most repeated sentences on the Internet. We have all heard it before. 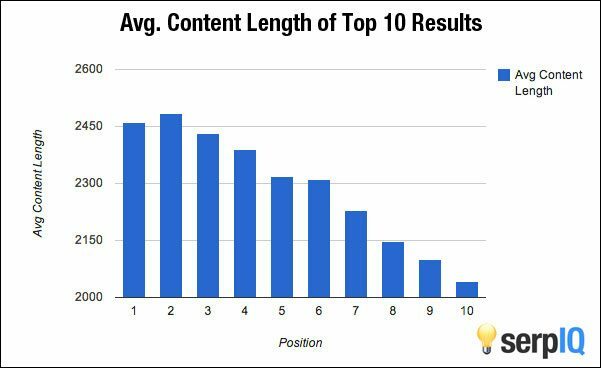 And yes, creating high-quality, long-form content is an excellent way to rank high in Google as seen on this chart by serpIQ. It’s the reason why everyone and your mom tries to churn out as many blog posts as possible as often as they can. However, there also websites who completely defy this mantra and attract hundreds of thousands, even millions of visitors without following the so-called “expert advice”. 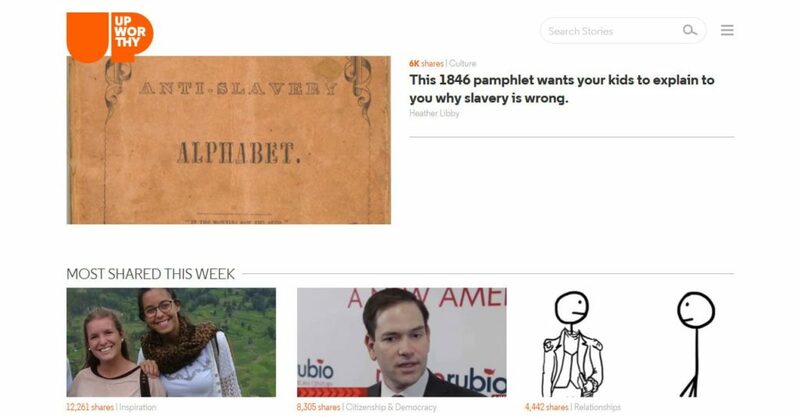 Upworthy used to get up to 90 millions of visitors per month simply by sharing other people’s stuff. While a lot of this traffic came from social, the website still enjoys high rankings in Google despite typically providing very little content. While last year they started taking their site into a different direction, it shows that content is not all it takes to rank high and get decent traffic. Brian Dean’s SEO blog Backlinko attracts 120,000 visitors per month and has a good many articles on the first page or even first place in Google. That’s right, as you can see above, he managed to outcompete almost 10 million other websites for the highly competitive keyword “list building strategies”. What’s even better, feats like this have enabled Brian Dean to grow his blog into a seven-figure business. However, here is the real kicker: In the three years of its existence, Backlinko has only published about 25 articles. Ever. That’s right, Backlinko publishes a new blog post only every three months or so. Not quite the regular basis, right? So, if sites like the above can succeed without following the prevalent opinion of experts, why not you? What is it they do differently? In the following we will look at alternative tactics you can use to increase website traffic without constantly writing new articles. As you will see, many of them are about leveraging what you already have. What do you usually use the Internet for besides checking your emails? If you are like most people, it’s searches. In fact, 93% of online experiences begin on a search engine. For that reason, improving your search rankings is one of the best ways to increase the traffic to your website. And what do search engines care about the most when it comes to rank websites in the search results? According to a recent Moz survey on ranking factors it’s backlinks. In fact, 12 out of the 15 most important ranking factors were related to linking. Consequently, to get more visitors to your site, instead of creating new content, it might be a better idea to concentrate on building links to the content you already have. In fact, online marketer Derek Halpern repeatedly recommends spending more time promoting your content than creating it. When it comes to building backlinks, quality beats quantity. Even hundreds of spam links won’t move your site up in the rankings and will in fact hurt you more than help you. There are many different link building strategies, including tapping into little known backlink sources. One of the most promising, albeit most time consuming, is reaching out to relevant sites in your niche via email. If you can score links from influencers in your industry, it can do wonders for your search rankings and organic traffic. Not to mention, traffic from the link itself. A good tool for finding influencers is BuzzSumo and there are additional ones in this article. You also probably have a bunch of names in your head of people you would love to link back to your site. However, while you can just go and ask for a link out of the blue, that kind of cold calling usually doesn’t get too many results. A more promising approach is to help yourself by helping them. One cool way to do so is finding broken links on other people’s sites and ask them to replace them with your own. The aforementioned Backlinko has a detailed guide about this topic. Another way to reach out is to leave comments on other people’s blogs. While that doesn’t bring you any link juice, it can still lead significant amounts of visitors back to your site. However, nobody likes the person who goes “Thank you for the info. Cheers, http://myawesomewebsite.com.” That’s what thousands of spammers out there do and nobody likes it. Nobody. Instead, the key is to be helpful and add to the discussion. To get started, set up Google alerts for relevant topics. Then, when new articles come out that are interesting to the audience you want to attract, hop right on over. If you leave an insightful comment that adds value to everyone involved, others will be more than happy to click on your profile link and see what you have to offer on your own site. For a complete guide to comment marketing, check out this blog post by Raven Tools. It’s no secret that Google loves content that is up to date. However, up to date doesn’t have to mean new. It can also mean an updated version of an existing piece of content. By adding information such as a new introduction, recent data, additional image material or anything else that improves your existing content, you can give it a bump in the search results. You might even slap “[Updated + year]” to the title to let visitors know that this piece of content has some new insights. 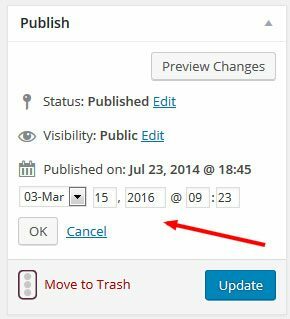 Plus, if you change the publishing date, the post in question will move back up to the top of your blog and also update the date in the search results. When you do update an older piece, don’t forget to share it again in your social channels. In fact, you should do that anyway. Regularly sharing earlier blog posts helps keep them in rotation and enables you to attract visitors with stuff you don’t have to create from scratch. You can do so manually or use a plugin like Revive Old Post that will automatically republish older articles on Twitter, Facebook and LinkedIn. Finally, to increase the performance of your older content, you can update it with additional keywords. For that, all you need to do is go to Google Search Console (formerly known as Webmaster Tools) and go to Search Traffic > Search Analytics. This will display the search phrases visitors are typing in for which you already show up in Google search. Now all you have to do is edit your existing articles and include the long-tail key phrases found in the list. Two or three times is enough. By doing this on a regular bases, over time you can potentially double your traffic without creating any new articles. After all, why start from scratch when you already have all the information set up in a structured way? In fact, the folks over at Convince and Convert regularly turn one piece of content into eight. Plus, you can combine this tactic with updating existing content by using your newly re-purposed content as an update for an older post. Can I get a win-win? A resource page is another easy way to breathe new life into older content. It’s as easy as creating a page where you link to some of your most important stuff. Think of it as a custom archive page. For example, you can create a beginner page that will give people an overview of what your site is all about and link to it from the navigation menu with Start here. While we are at it, why not also turn your archives into resource pages? All you need to do is write a unique introduction for each of your category pages as unique content for Google. Done. While it might seem a bit silly, this tactic can actually bring in very decent traffic. In fact, it’s how WPBeginner manages to rank first place for the keyword “best WordPress plugins”. Category descriptions can be easily added under Posts > Categories. Just click on a category and add a description at the bottom. 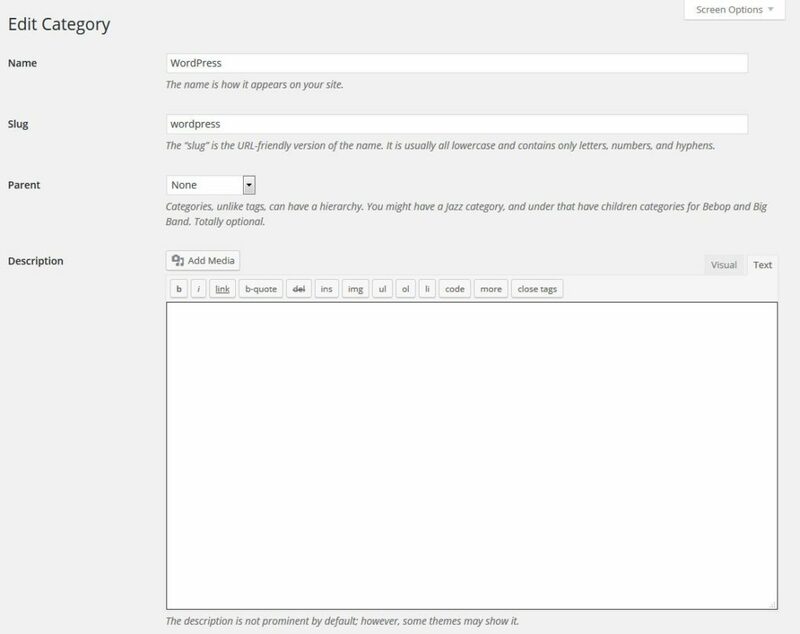 However, you need to make sure your theme actually displays category descriptions. If yours doesn’t, you can easily add them manually, so no worries. Another variation of this is a roundup of the most successful content of the preceding year. In case you don’t know which content that was, Google Analytics will tell you. Just go to your account and adjust the time frame at the top to your desired window. Then, under Behavior > Site content > All pages you can see which pages were most visited during that time. Combine them all into one post or page, add excerpts or write a custom description and you are done. Don’t want to create content yourself? Why not take advantage of other people’s work? By curating content, you can provide fresh material for your site without coming up with a single new idea. The aforementioned resource page is a good application for this as well. Who says the content on it has to be your own? If you can put together high-quality and up-to-date material on a relevant topic and share it on your site, why wouldn’t others want to see it? Also, if you notify everyone you have featured on your list, they might just share it or even shoot you a link! Humans love visual information, which is why infographics are a type of curated content that is all but guaranteed to delight your visitors. You can embed them on your own site (in fact, many come with a code for that very purpose) as well as function as fodder for your social media channels. If you can’t find any embed code, don’t forget to link back to the original source! Many of the above tactics will also yield prime material for newsletters. You have a newsletter sign-up form on your website, right? If not, now is the time to implement one. Email newsletters are a marketing tool with one of the highest ROIs out there. Newsletter subscribers are more likely to come back to your site than anyone else. After all, they trusted you with their email address, did they not? If that isn’t an indicator of interest, I don’t know what is. However, don’t just send a newsletter to get them to come to your site. Make sure your email is chock full of valuable content, even if it is repurposed or curated. Yet, at the same time, be sure to provide a link back to your own site. Social media is another good way to increase website traffic without creating additional content. After all, the user numbers on social platforms are staggering. Facebook alone has more than one and a half billion users, followed by Instagram at 400 million and Twitter with 300 million. If you are able to siphon off only a few of those, it can result in a significant increase in traffic to your WordPress website. Fill out your profile as completely as possible — Take advantage of everything each platform has to offer. A complete profile increases trust and makes you look more professional. Also, don’t forget to link back to your site or your efforts will defeat their purpose. Concentrate on value for your followers — Remember that your social stream is for them, not you. Always ask how you can create more value for your followers and avoid being overly sales focused or spammy. Establish a regular posting schedule — Social media success doesn’t come overnight. It usually takes a while to get noticed. By sending out content regularly, you increase the chances of being found. A scheduling tool like Buffer is immensely helpful in sticking with your schedule. For in-depth information on how to increase web traffic from social media, Kissmetrics have an excellent guide and you can find even more tips on Social Media Explorer. In the hunt for website traffic, we are sometimes our own worst enemy without even knowing it. If your site has serious SEO issues, it will keep your organic traffic from growing no matter how much content you publish. Therefore, instead of writing a new blog post, it can often be a good idea to perform an SEO audit instead. Check Google Search Console — Look out for problems like crawl errors, 404s, sitemap issues, and blocked pages. Fix any issues you can find. Look at your analytics — Check pages per session, bounce rate, and user flow. Is there a way to improve your site structure to serve your visitors better? Run a speed test — Input your site into Google’s PageSpeed Insights and try to implement as much of the feedback as you can. Run a mobile friendliness test — Use this Google tool to see how your website performs for mobile devices. Mobile traffic continues to grow in importance and a site that isn’t mobile-friendly will get banned from mobile search results. Not good. Optimize images — With SEO-optimized images you can bring in loads of new visitors from Google image search. Check at least the images in your most important content. Listen to your SEO plugin — If you use an SEO plugin like Yoast SEO, check for posts with a bad SEO score and see how they can be improved. Also, consult the content analysis section of your older posts to see if they can be improved. More info on that in our guide. For more info, check our post on technical SEO for WordPress and tips to get your WordPress site indexed by Google. Increasing website traffic is the goal of every site owner. To achieve this, in recent years, the advice has always been to “create more content”. While doing so isn’t a bad idea, it isn’t the only way to get more visitors onto your website and surely not the most time-friendly. If you, like many others, are struggling to churn out content on a regular basis, the tactics in this article offer alternative approaches to building an audience. While the above is enough give your website traffic a serious bump, the list is far from exhaustive. Therefore, if you have additional ideas, I’d be thrilled to hear about them. Do you have more ideas to increase website traffic that don’t involve creating new content? Anything that has helped you in the past? Let us know in the comments section below!